If you've noticed that this is the first time I'm writing about a restaurant in my blog, please say hello in the comment box so I can take a mental note of how much I love you for actually paying attention. Truth is, I love eating out as much as I love cooking and I thought it was about time to talk about restaurants I've enjoyed in my hood and other places. When Michelle A. invited me to dine in Kiwa Korean Grill, I was quick to say yes because I love Korean food. Spicy, sweet and umami! I couldn't wait! Sashimi and appetizer platter, so pretty! Entering Kiwa was such a visual treat. It was bright and organic. I've never been to Korea but I imagine this is what it would feel like. Kiwa directly translates to "roof tile” in Korean because Kiwa offers the finest traditional Korean specialties — all under one roof. That, I think is why I felt so comfortable dining here. It was classy but still laid-back. An absolute plus is that literally every corner is Instagram-mable, don't we love that?! Okay, so now we get to the FOOD! Mashed pumpkin mixed with assorted nuts and seasonal vegetables with sesame seed dressing. Simple flavors that went perfectly together. The pumpkin was sweet and nutty while the vegetables and dressing was so refreshing. rolled white kimchi placed inside a whole pear. 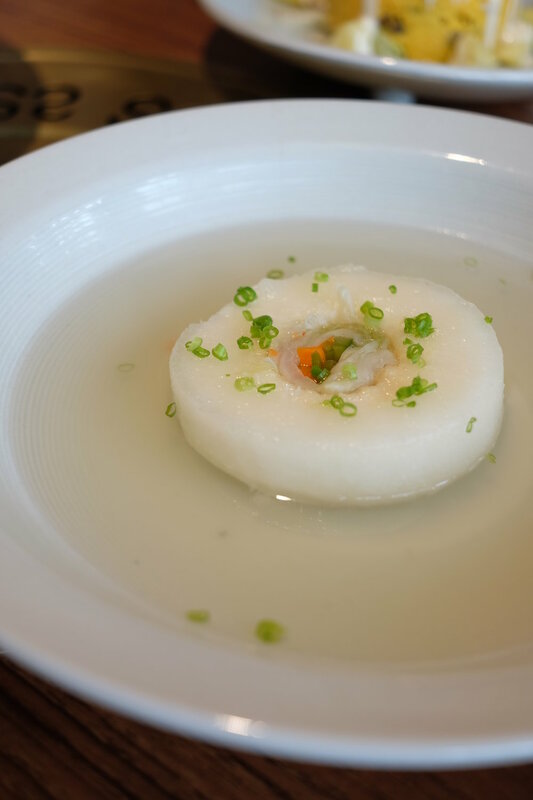 I'm not the biggest fan of kimchi but since this is a lighter version of the famed Korean appetizer, I was all over it! 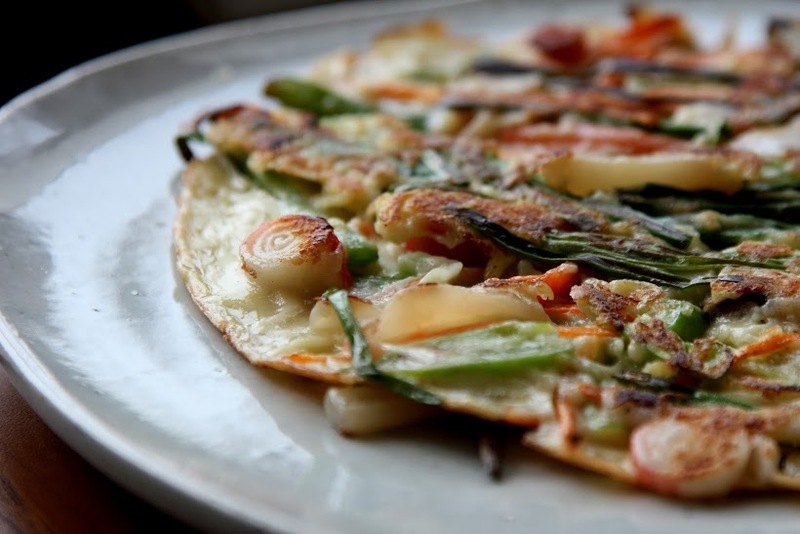 Pancake with seafood, spring onion and assorted vegetables. 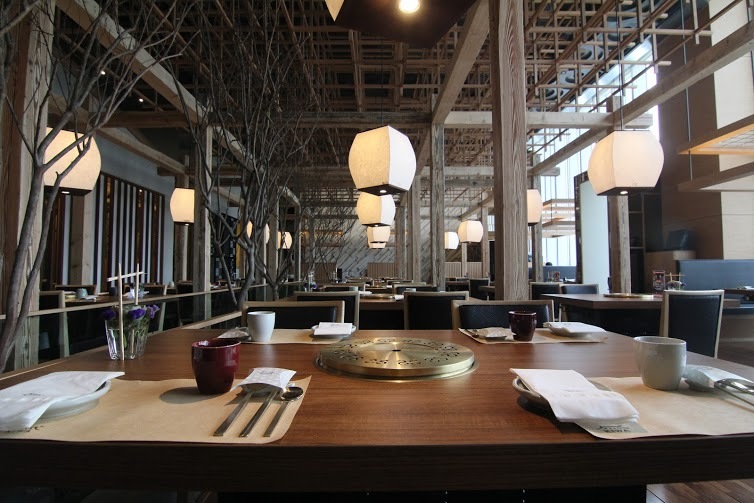 What I absolutely appreciated was the fact that after dining at Kiwa you can still jump to other meetings without smelling like charcoal because of their state-of-the-art exhaust system under the restaurant so all the smoke goes under. How very considerate for the working folk like myself. Seriously, you wouldn't even know that there was actual grilling going on until you see it for yourself. Korean restaurants around the metro always have that vacuum-looking exhaust over the tables, what an eyesore! In Kiwa, not a trace of those alien contraptions are in sight. Kiwa uses grade A+ beef from Japan (Wagyu) and USDA. For dessert we were served Sweet Plum tea andBingsu. The plum tea is not only a great sweet ending, it is also a digestive. I loved them both!